When the HP iPAQ H2210 made its way to the market last year, I really wondered why everyone was so excited. Yeah, embedded Bluetooth and SDIO instead of simply SD, but based on what I saw online, I really did not see why I would want this device over my Dell Axim X5. I rarely use Bluetooth for anything and SDIO, while could be beneficial in the future, did not have any practical applications to me at the time. Over the last couple months since the H2210 appeared in users hands, Bluetooth still has not made its way into my life, and SDIO only has for reviews. So prior to actually receiving the H2210 I was again unclear on why fellow MVP?s were raving so highly about this device. Now I get it, and hopefully will be able to make it clear why my mind has changed. 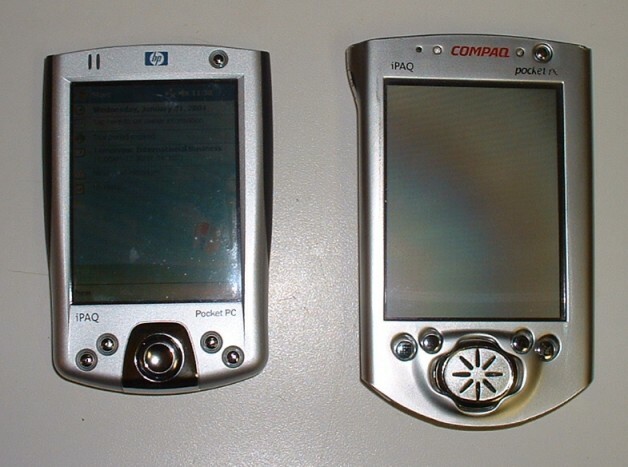 Simply put, I would trade my Dell Axim X5 (which I love) for the HP iPAQ H2210. First let me get the specifications of this device out of the way. The HP iPAQ H2210 is powered by an Intel XScale PXA255 processor running at 400MHz. It contains 64MB of RAM and 32MB of ROM (of which about 4MB is available for permanent storage), as well as both an SDIO slot and Compact Flash Type II expansion slot. 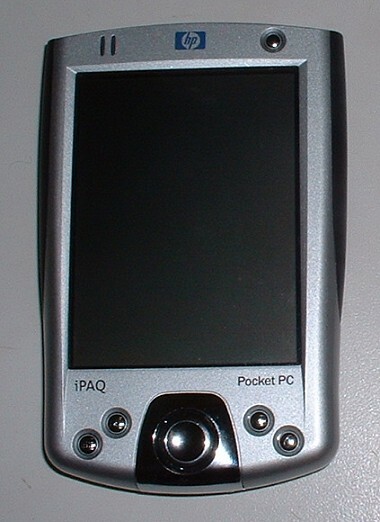 The iPAQ can be connected both via sync cradle connection or via the integrated Bluetooth. 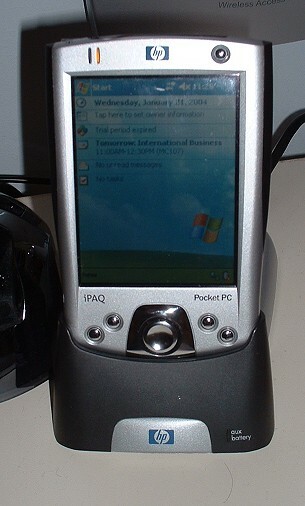 Windows Mobile 2003 (Pocket PC 2003) is displayed to the user on a 16-bit, 240x320 pixel display. 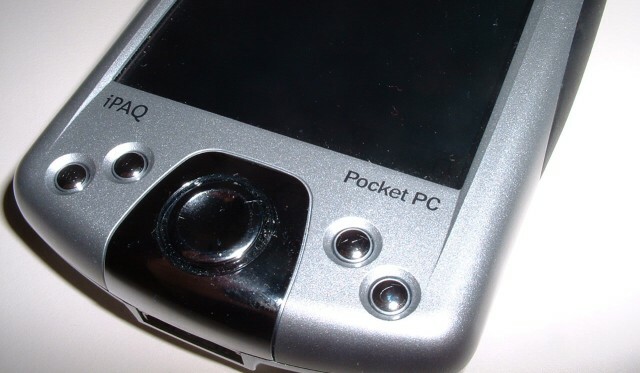 While specifications like this are nothing new to the Pocket PC market, the style of this device adds a compact form factor for the number of included features. The H2210 is a device made for the user that wants a powerful device with a good number of features, but still wants a ultra-compact device size and a price tag that won?t break the bank. The form factor and design of this device is my main praise of this device, and one of the major reasons I would purchase one. The specifications, while they are good and many of my requirements for a device, every Pocket PC manufacture makes a device with similar specification. The key requirement is how the manufactures puts the components together in a package that will be functional. The iPAQ line has always been successful in promoting a good design and the H2210 follows in its predecessor?s foot steps. When I pulled the device out of the box, the first thing I notice is the size and how it fits in my hand. It is relatively rectangular design makes it fit in my hand well. The device feels slightly smaller than other comparable devices (like the Axim X5). At only 0.61" thick, the device is really rather thin to include both SD and CF. 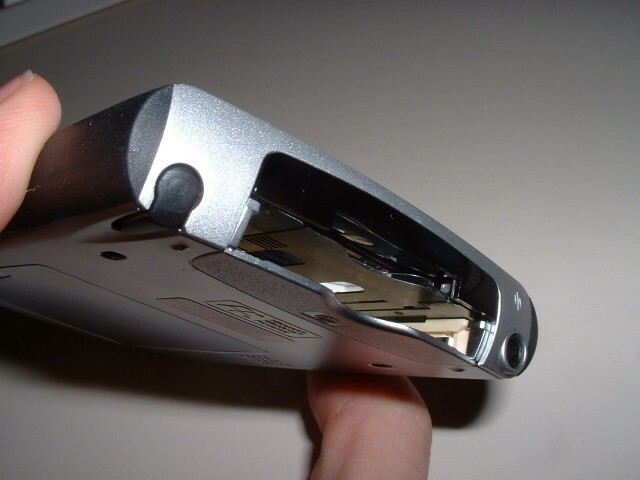 Most devices put the CF slot in the middle of the top, but HP pushed the slot back against the back side of the device. This leaves room for the CF slot as well as both the SDIO slot and IrDA port (which is not noticeable in the device design). A standard 3.5mm headphone jack and microphone accompany the expansion slots on the top, with the stylus balancing the device on the other size. The front of the device is mostly the screen. Above the screen is two notification lights, one blue to show an active Bluetooth connection and the other for notification from device alerts and when the power adapter is connected. The power button, while small and slightly inset, is very easy to press to get the device to activate. Below the screen are four quick launch buttons (similar to the power button) and a directional pad. The directional pad works best when the pointer finger is placed in the center of the pad and moved up down, right and left (as opposed to attempting to press each direction individually). Some users may find the directorial pad as being too small for successful use. 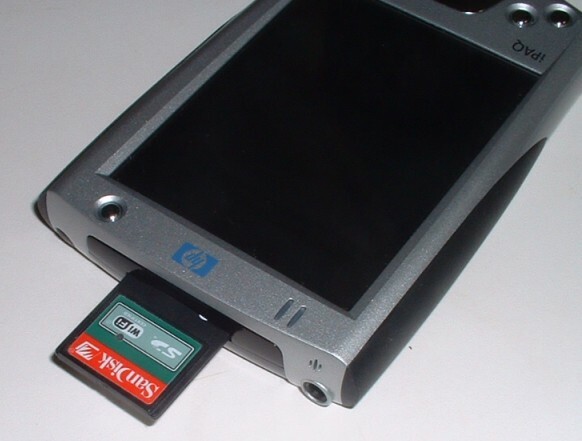 HP decided not to include a voice recorder button. While I usually do not use the button on a Pocket PC, I do on my SmartPhone, so I know there is a benefit to having it, but for my Pocket PC, I am indifferent to having it. The bottom of the device only contains a sync connection port, no separate power adapter connection. Speaking of the sync port connection, the sync cradle is rather large for my liking, though it does have the option for charging only an extra battery (the 2210?s batter is removable) instead of the whole device with the battery. Also to charge the device you must have it in the sync cradle, which I personally don?t like to do. While I think the device design is great, I do not like the cradle and wish some extra effort had been put into it. But back to the device, the back side includes the external speaker and a battery slot accessible by the user. I don?t like that the external speaker is on the back, I would have liked it on the front. The battery slot is also a little harder to open than it should be; it just takes some figuring out. The battery life was good for me. Even with the screen on at a moderately high brightness and an SDIO WiFi card, I still was getting upwards for three hours of battery life. For me, this is pretty good, but users that use their device primarily as a personal information management unit, they may find it not so good that you cannot slow the processor to conserve battery life. Can I trade? I have been using this device for about a month on and off. Well, more on than off. More often I pick-up this device when I leave than my Axim X5 due to not only the size, but the better screen, the SDIO slot for my WiFi card, and though I still hate Bluetooth, it has come in handy to have it. The H2210 packs power, functionality and style all into one device, that won't break the bank. The retail price for this device is $400 and is well worth the costs considering there are devices that are more expensive that are not half as good. I know completely understand why everyone was excited over this device and why my fellow MVP are raving.